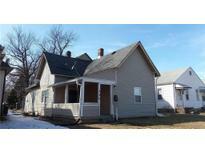 Find Irvington, IN Homes for sale. View Photos, Maps and MLS Data Now! Levi Ritters - The Irvington Theater, Black Acre Brewing, Jackamo, and all the other neighborhood hot spots are just a quick walk away! MLS#21636140. Everhart Studio, Ltd.. 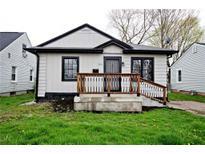 Attention investors, this home would make a great rental property too! MLS#21635630. JRB Management Group Inc.
Emerson Highlands - Don’t take my word for it, come see it for yourself and experience one of Indy’s most established and desirable neighborhoods. MLS#21635692. Plat Collective. 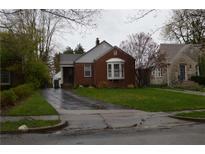 Irvington Terrace - This house won't be on the market long! MLS#21635334. United Real Estate Indpls. Minutes away from local shopping and restaurants in Historic Irvington. MLS#21635754. Keller Williams Zionsville. 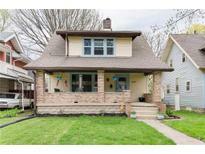 Irvington Terrace - Call to schedule your showing today! MLS#21633436. Centurion R.E.S., LLC. Durham Park - Just minutes from downtown Irvington's shops, local brewery, and restaurants. MLS#21635166. Hanza Realty, LLC. 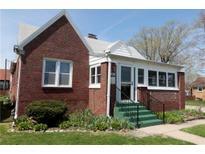 Irvington Terrace - *Stucco exterior in excellent condition, seller to provide a credit at closing for repainting. * MLS#21634862. Plat Collective. 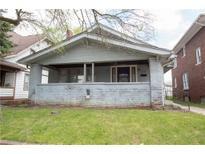 3 bedrooms, 2 baths, nice front porch! MLS#21631497. New Dimensions in Real Estate. Water heater, furnace and A/C new in 2014. MLS#21633653. Gallery of Homes Real Estate. A short (.6 mi/12 min) walk to Ellenberger Park. MLS#21633177. F.C. Tucker Company. Seller has not lived in property for 15+years. MLS#21633125. Trueblood Real Estate. Arsenal Heights - Enjoy this well designed and nearly brand new home. MLS#21633009. Plat Collective. Emerleigh - What more could you want in a spouse? Er, we mean house! MLS#21633373. Gallery of Homes Real Estate. This is a must see and it will not last long! 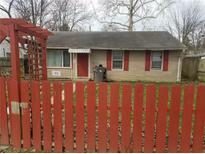 MLS#21631334. The Indy Realty Shop. You wont find another home like this! 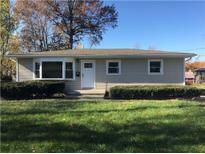 MLS#21632451. United Real Estate Indpls. Come be a part of a great neighborhood! MLS#21613893. F.C. Tucker Company. Hop on your bike and be to Ellenberger Park in 5 minutes or to Downtown IRV in 10 min! MLS#21631863. CENTURY 21 Scheetz. Justus 16Th St - Fully fenced back yard! Must see! MLS#21630165. Plat Collective. Community Hospital Employees - this home would be an excellent home to take part in the Community Anchor Housing Program. Ask HR! MLS#21632135. Artisan, REALTORS®.